A vehicle transporting a group of workers in “the Renaissance Dam”, in Ethiopia, was attacked and has been shot. As a result , nine were killed and seven were injured in Pincanjul Gomes , Ethiopia the day before yesterday. Ethiopian authorities had acknowledged the attack. The Ethiopian Government and Communications Affairs Office have stated that the attack was “a criminal one” , and the government will do its utmost to bring those who are responsible for the attack to justice. But neither the criminals nor the victims have been announced yet . On the other hand, the Ethiopian opposition has issued a report about the attack in which they referred to the possibility of being the Ethiopian security forces responsible for planning to that attack which occurred last Tuesday, in in northwestern Ethiopia, in order to give the impression that there are foreign motivations behind this incident. The report stated that the evidences indicate that the Ethiopian security forces opened fire on a vehicle transporting 28 workers near Sherkoul, 100 Km north Osusa city, 235 Km south the location of the Renaissance Dam in Pincanjul Gomes, near the Sudanese borders; where there are intensive security troops to protect the project of building the dam. 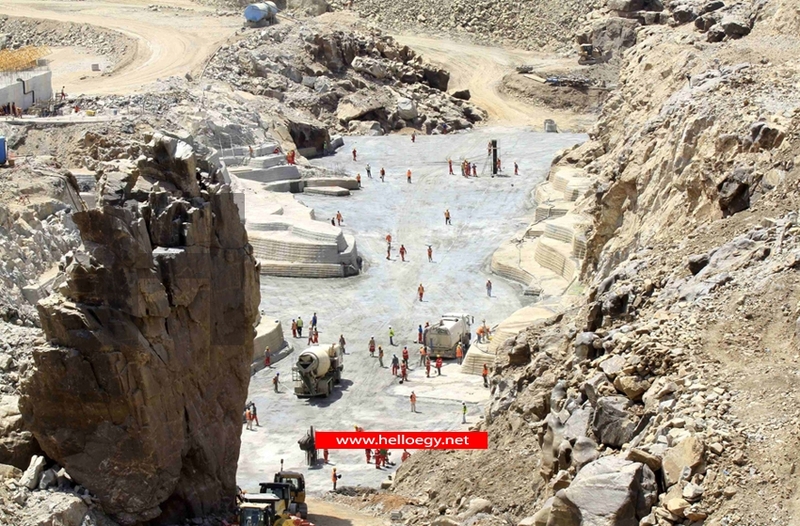 The report also added that : “ the dam location is intensively secured, and the Ethiopian Defence Minister Siraj Virgisa has recently confirmed that his ministry is completely prepared to protect the project against any possible attack” . The source of the Ethiopian opposition has also said that : “ the goal of planning the regime for such massacre of Sherkoul is to make the Ethiopian people think that there are foreign forces and internal enemies who try to impede the development in Ethiopia. Or may be the goal is to give an impression that some countries started to carry on their threats against the Renaissance Dam. They try to charge Eritrea, young Somali extremist group, or the internal opposition. " The same report added also that the Ethiopian people do not believe that, and the are aware of the fact that the government attempt to make people reject the Muslim Ethiopian struggle for the freedom of religion. The observer also confirmed that the signs refer to that all of what happened recently are mainly the actions carried on by the security agents of the regime, and it is supposed to be the same view of the security agency; that this plot is simply one of the Mafia attacks, so that the regime seems clean . It confirmed that : “despite the fact that all the necessary evidence is not clarified yet, but all the evidences refer to the fact that this massacre is the work of the security agency of the frontline. This opinion is very reasonable specially the security agencies had bombed the warehouses of Petroleum and ammunition in Adiss Ababa just to assure their control on the city. The worse had happened in 2005 elections when they carried out a series of bombings in Adiss Ababa itself in different areas of Ethiopia in order to make citizens believe that the opposition parties and the Oromia National Liberation Front behind it. " The Ethiopian government challenge the international laws by building a dam on the Nile despite the disastrous results that will affect a number of countries like Egypt and Sudan and others, some reports have asserted the involvement of some forces like Turkey, Qatar, and Israel that finance and support Ethiopia to build the dam to destroy the economic interests of Egypt. Egypt still adheres to its historic rights in Nile water. The Egyptian government has threatened before to take all actions against the Ethiopian government to keep that right that is documented in international treaties and pacts, including the political escalation to fill a complaint to the United Nations. It also did not overlook the other options to stop this project, which directly threatens the security of water resources in Egypt.